It is with profound sadness that we announce the passing of our dear mother, Nellie. She will be remembered by her children; Valerie (Dwight) Heffernan, Carol (Alex) Wieshlow, Glenn (Evelyn) Arbuckle. She will also be dearly missed by sister, Joy Bush of England, four grandchildren; Kari-Ann, Tracey, Jaime, and Kaila as well six great grandchildren and many nieces and nephews. She was predeceased by husbands George Arbuckle/ Tony Dinnebier, son Scott Arbuckle and sister, Rosa Morford. She worked for the War Office at Bletchley during WWII before coming to Canada as a war bride and retired from Air Canada after eighteen years service. The family would like to thank the staff at unit 101 at Carewest Sarcee, Calgary for the excellent care she received. 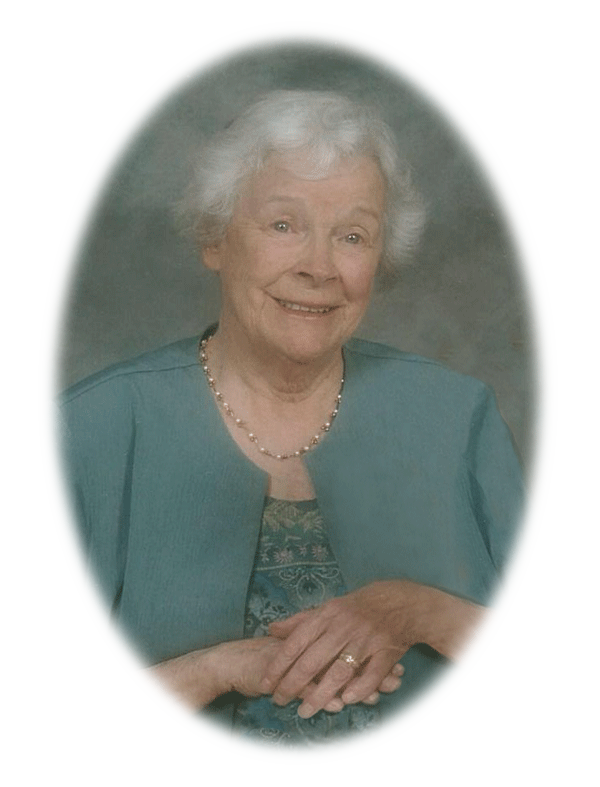 A Memorial Service to celebrate Nellie’s life will be held at St. Andrew’s United Church, ( 128 First Street East, Cochrane ) on Wednesday, January 28, 2015 at 11:00 A.M.
We were so sorry to hear of Aunt Nellie’s passing, and so soon after Mum. All Mum wanted before she died, was to see her sisters ( and her parents ) again. She didn’t understand that her parents had already died. Now Aunt Nellie and Mum are together again. I feel sorry for Aunt Joy, losing both her sisters so close together. those in need. I’m sure she will be rewarded in Heaven. We’ll be thinking of her, and all of you. Harris, our children and I are so very sorry that your mom has passed away, just six weeks after Mummy. We are glad they are together. Poor Aunt Joy is so sad, losing her older sisters so close together. Aunt Nellie was a wonderful person, so giving and kind. She was always there for friends, family and even strangers who needed a helping hand. I loved our telephone chats. We will remember her fondly and will cherish the memories we have of her. You were lucky to have had such a wonderful mum, as were we with our dear Mummy. Both will be greatly missed. Although we cannot be at her service , our hearts, thoughts and prayers are with you. Our sincere condolences to all of you. Your mum will be missed. Take the best of care. We extend our sincerest condolences to all of you. Your Mum will be sadly missed. Do take the best of care. Dear Carol, Valerie, Glen and families, I am very sad to hear of you mother’s passing. I have many fond memories of visiting her and Uncle Georgie in Calgary while I was going to university. Aunt Nellie was a kind, caring and cheerful lady with so many talents. I loved talking with her about her life in England, coming to Canada as a war bride and her career with Air Canada. Aunt Nellie always encouraged me to “keep up my french” since it would open many job opportunities for me. Her love of stray animals and kindness to people in need was something else I loved about her. I last saw her at her home in Cochrane and she was so happy to spend time with grandchildren, keep busy with her church and choir and enjoy her knitting. I hope that she had a peaceful passing and that all of you are comforted by warm memories. Sincerely, cousin Lynn in Edmonton, Amanda and Jill. Dear Val: So sorry to hear of your mother’s passing. My deepest sympathies to you, Carol, Glen, and your families for the loss. I have lots of fond memories of you and your mum. Please accept my deepest sympathy for your loss. I am a former member of the Donkin Band, and knew Nellie’s husband George who played trombone in the band. Very sorry to hear of Nellie’s passing.